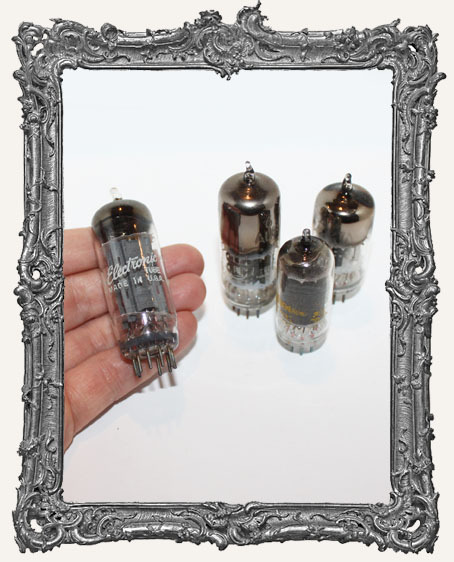 * You will get one authentic vintage vacuum tube! * They range in size from about 2" to 2-3/4" tall. * These are for decorative use only. They are especially cool for Steampunk art! * These tubes are extra cool with metal "feet", glass bodies, and a small glass "topper". They remind me of vintage apothecary jars with a twist. * A great embellishment for Shrine Kits, jewelry making, and more! * Limited Supplies! Once they are gone, they are gone!